Cole returns with more Nintendo love and more Nintendo confusion. Justin digs deep underground but it’s not spelunking this time. Plus Terminators, inclusivity, RPG anticipation and the only system seller launch title. 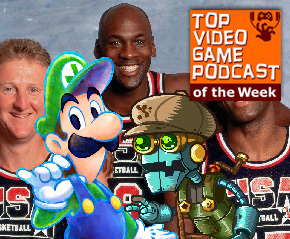 Top Video Game Podcast of the Week – The interactive weekly gaming updates show featuring the games of the week and best and worst in gaming from the Horrible Night staff and the live chat audience. Thanks to Rhinoceros Beetle for allowing the use of “Witchhh (Soundtrack)” from the album Horse Pact EP as the TVGP theme song. This show was recorded live on Twitch.tv/HorribleNight. The final video is also available on YouTube.com/HorribleNightTV.